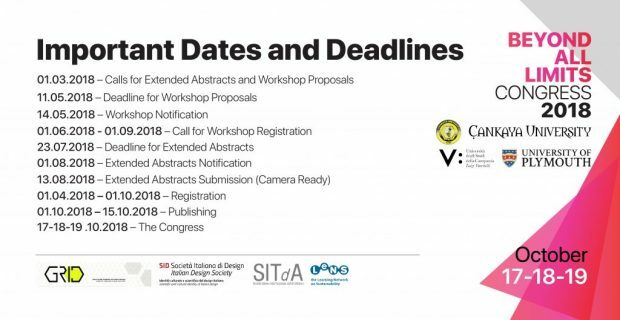 It is our pleasure and privilege to invite you to join the Beyond All Limits: International Congress on Sustainability in Architecture, Planning, and Design, a joint collaboration of Çankaya University, Ankara-Turkey, Università degli Studi della Campania “Luigi Vanvitelli”, Caserta-Italy, and University of Plymouth, Plymouth-UK, which will be held in Ankara, Turkey, on October 17-18-19, 2018. Ankara, the capital of Turkey is a city with a millennial cultural tradition and world-wide recognized characteristics of hospitality and openness to ideas and people. Ankara is considered, among the major Turkish cities, to be the one with the best quality of life, due to the perfect blend of tradition, history, art and innovation. Ankara is a crucial node of the Turkish transport network, allowing people to access cheap and easy. Çankaya University is one of the oldest of foundation based universities of Turkey. In Çankaya University, Faculty of Architecture pursues a multidisciplinary agenda covering architecture, design, urban and regional policy and planning. Università degli Studi della Campania “Luigi Vanvitelli” is one of the oldest universities of Italy. Faculty of Architecture pursues a multidisciplinary agenda covering architecture, industrial design, and fashion design. School of Art, Design and Architecture offers a wide range of undergraduate and graduate programs focused on shaping the future of the cultural and creative industries globally. Congress attendees will have the chance to benefit from scientific exchange both during the formal activities or the informal meetings with colleagues from different backgrounds. Additionally they will also have the chance to relax thanks to the opportunities provided by the multiple cultural events and by Ankara’s historic tradition. Submitted extended abstracts will be peer reviewed. Accepted extended abstracts will be published in proceedings book. Selected extended abstracts will be offered to be published as full paper in high-ranked academic journals. We hope you will enjoy the meeting and we are looking forward to welcoming you to Ankara in 2018.